incredible web of loving kindness. Grief and love in the same place. I felt as if my heart would burst with holding it all. I decided to post an inspiring quote beginning today and also my favorite photo. 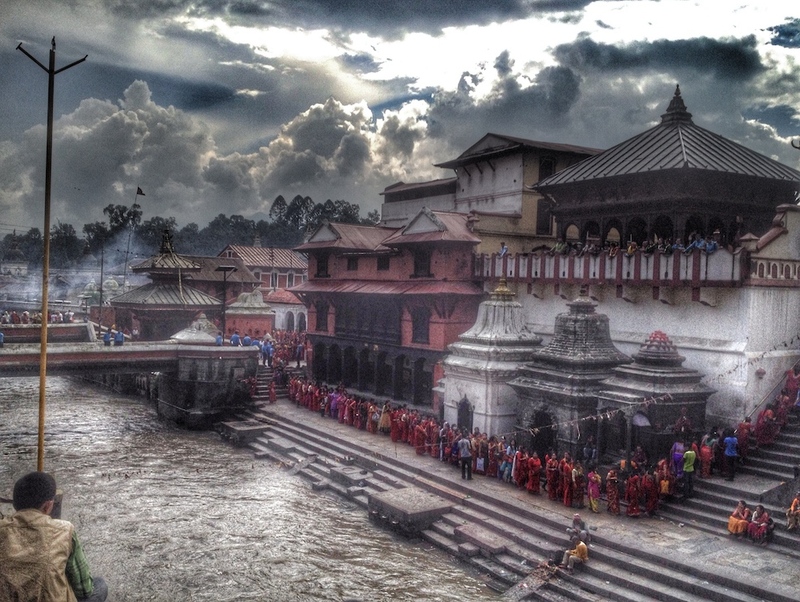 The above picture was taken on Teej Festival at Pashupatinath Temple on 28th August 2014. It is the Bhagmati River of the Kathmandu Valley, which runs through the Gangga River and at the end would reach the Indian Ocean. It is also on this side of river that they cremated the death and pour their ashes to the river.